Canada is the second-largest country in the world, and shares the world's largest border with its neighbor, the United States. Canada's population is just over 35 million people - a small population compared to the size of the country. It is known for diversity, inclusive values and high standard of living, is internationally recognized as one of the best countries to live and study in. Studying in Canada is an exciting and rewarding experience for many students from around the world and annually near about 180,000 students join Canadian education system and it is increasingly every year. Canadian College or University should be a top priority for those who may want to pursue a Quality education in their respective areas of interest and professions as it has been incubators for innovation such as the BlackBerry phone, flat-screen technology, SMART boards, and IMAX film. World Recognized: Canadian education system has a good quality control with high academic standards that give you opportunity to take your career to another height. A Canadian degree, diploma or certificate is globally recognized as being equivalent to those obtained from the United States or Commonwealth countries. Affordable Education: The quality of education and living standards in Canada are among the highest in the world, but the cost of living and tuition fees for international students are generally lower than other countries’, that is the reason Canada is most preferred choice for students. Healthy and Safe: Canada is the healthiest country to stay & live for international student. It is one of the safest places to study with very low crime rates and cases of racial discrimination. Canadian people are very helpful and friendly in nature and they help international student to live in a healthy environment. Co-op Program: Ample of universities in Canada provides co-op program in various field, which allow students to paid work experience with your academic studies and earn your degree from a global leader in co-op. These programs help students apply their classroom education to real world experiences and full-time market driven programs. Work Opportunities: Canada has a thriving and vibrant economy with plenty of room for growth and many opportunities. International students in Canada can work up to 40 hours per fortnight during the stay, allowing them to earn money, gain useful work experience in their field of interest and opportunity to meet with variety of people. Possibility of Immigration: International graduates of Canadian institutions may obtain a Post-Graduate Work Permit (PGWP) after their studies, allowing them to work anywhere in Canada, for any employer, for up to three years. Work experience gained on a PGWP can contribute towards an international graduate’s eligibility for permanent immigration programs, and can provide a way to remain in Canada and work while an application for permanent residence is in process. Multicultural Society: Canada has traditionally been a country of immigrants and has a policy of encouraging multicultural diversity with people of all religions, races and cultures. A multitude of languages are used by Canadians, with English and French. This vibrant environment gives students different perspectives and an opportunity to interact with people of all backgrounds. Canada is not only hunting for a greater number of international students but also for extraordinary and talented young people, potential for future experts. Canada does not have a national education system but it does vary in all provinces and territories. Public education is under the jurisdiction of all provinces and territories. This means there are some differences and similarities in the systems across the country. There are more than 10,000 undergraduate and graduate degree programs available in Canadian universities, as well as professional degree programs and certificates. Universities and university colleges focus on degree programs but may also offer some diplomas and certificates, often in professional designations. University degrees are offered at all three levels, bachelor, master and doctoral with highly innovative research in the fields of health, nanotechnology, biotechnology, high-performance computing, environmental technologies, nutraceuticals, and renewable fuels. Canadian universities, colleges, and institutes offers all type of formal teaching program such as vocational, technical, or the professional education. Canada has a range of education institutions i.e. Universities, Colleges, Community colleges, Career colleges or technical institutes. Canadian college programs offer diverse options in the technical and professional fields including: business, agriculture and agri-food, health, social services, broadcasting and journalism, hospitality management, design, technology, sciences, information technology, engineering, environment, languages, and arts. 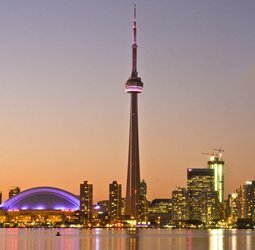 Living in Canada, varies depending on the region and the type of stay there is wide variety of safe and modern accommodations offered to students, you can choose according to your needs and budget. On Campus – living in university campus will be a great option as you can make friends and be a part of student community and it will be once-in-a-lifetime experience!, make you comfortable in new environment. Off Campus – Many Students choose off campus option (Private, ranted accommodation) as they want to explore their life beyond the campus. If you are renting a property, then you have to follow some legal formalities. Home stay – Canadian Families offering home-stay accommodation to international students are ensure they can provide a suitable living environment for students. The cost of living can vary greatly depending on your lifestyle, budget and spending habits. You can consider a part-time job while studying in the Canada to help pay off expenses or to cover your basic needs. Canada is highly preferable choice in study abroad destination. Students are expected to start planning for their studies in Canada one year in advance. Canada have generally two intakes, first major intake is in September and the other intake is in January, but it depends on the students program and the institution. Very few institutes might have the May intake as well. An international application for study in Canada can be a slow process, and can take up to 6-8 weeks processing time. You need to submit application as soon as possible. If you want to pursue your study in Canada then you need to apply for Canadian student visa, or study permit and you will require offer of acceptance from your chosen Canadian university. In order to kick the process you have to meet with some requirements such as application fee, language proficiency proof (IELTS), medical certificates, photographs, valid passport, proof of fund in the form of bank statements, receipts or certificates that you have enough money to pay for your tuition and Living expenses. Before departing for studies in Canada there are many things that need to be done. Ensure that you have accepted the offer of a place and have responded. Fill in immigration or study documents that will be required. Set up a Canadian bank account. Buy travel and health insurance. Check that every piece of paperwork has been completed. Make sure you have Photocopy of all important documents. Make sure that your appliances will work there – if not get an adapter.